It can be very frustrating when you receive less of what you know you actually ought to receive after working overtime. This could impact on a worker’s morale and job delivery in the work place. 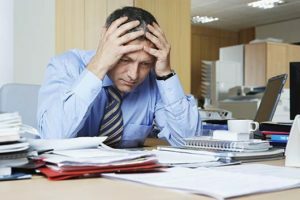 Rather than allow frustration and contempt to set in, if you have been wrongly dealt in the aspect of wages at your place of work, it is important that you speak to a competent attorney who will help you get the justice that you deserve. An experienced attorney is one who is familiar with all the clauses that are related to unpaid overtime and other related subjects; he/she will evaluate your case and help ascertain the legitimacy of your claims, and provide the guidance you need to prevail. Rawa Law Group is one of the foremost firms here in California, we have all the resources and experience that is needed to bring you the victory that your desire. Our Unpaid Overtime attorneys present here in Escondido are renowned for their track record of excellent legal results. We make bold to say that we have these results due to our unique approach to cases. We treat each case, like it’s the first and only case we’re taking! For your case, we will gather all the necessary reports, listings and slips to prove your claim; we will go further to relentlessly advocate for you and your best interests throughout the life of your case. Do reach out to us now and take advantage of our FREE case evaluation offer today.